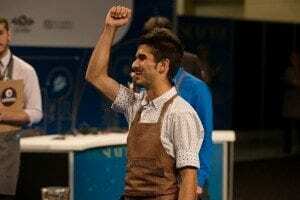 Only a few months ago, I experienced one of the biggest highlights of my coffee career: competing in the 2015 World Barista Championship in Seattle. Representing Costa Rica as a national barista champion was unforgettable. 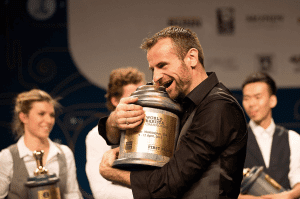 What Is the World Barista Championship? Every year, champions from over 50 countries compete for coffee’s most prestigious prize. 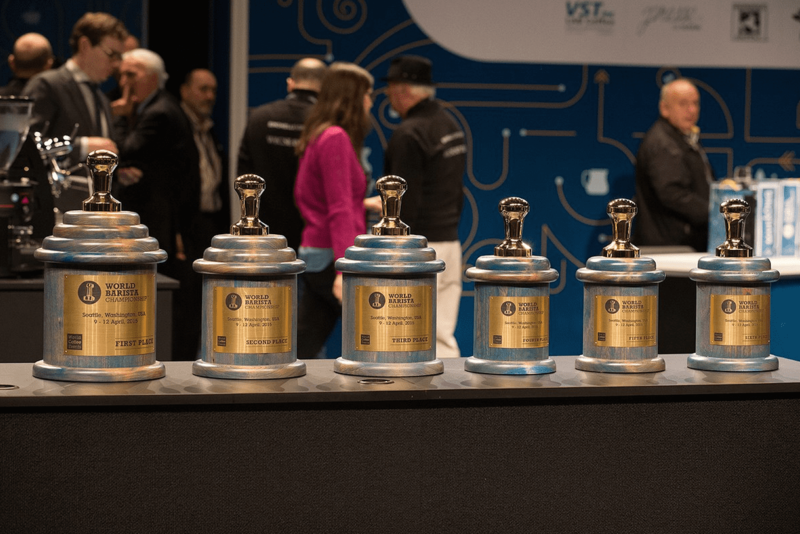 Competing baristas prepare four espressos, four cappuccinos, and four original signature drinks in just fifteen minutes. 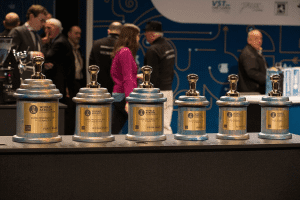 WCE-certified judges rank the performances, and those who score well go through to the semi-final and final rounds. How Do You Prepare for Such an Event? The most important part of competing happens before the competition, and it’s not easy. Without rigorous preparation, you will never be able to give a smooth, flawless presentation. You have to make sacrifices. Some of them are financial, but the hardest one is the time away from family, friends, and work. Despite the cost, you must be strict with yourself; you cannot compromise when you’re preparing for the WBC. No mistakes at the WBC, only espresso perfection. Spend as much time as possible with the coffee producers in their country and learn everything that you can. 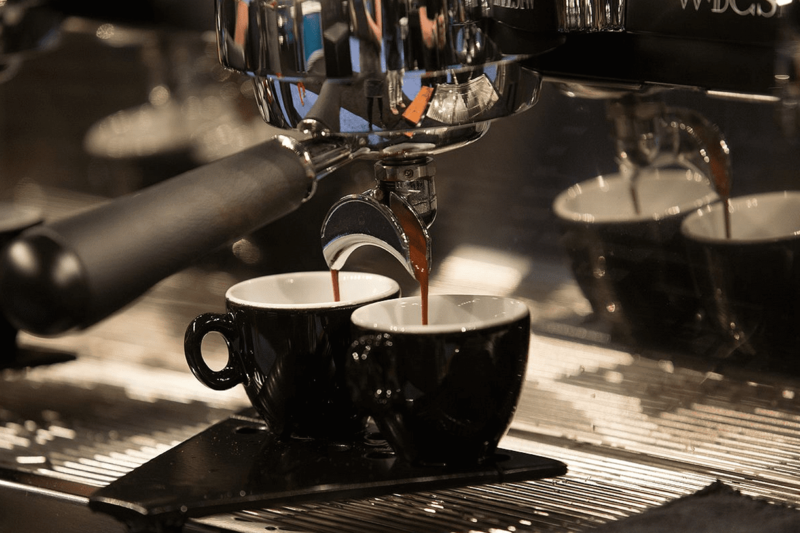 They have an intimate understanding of their coffee that you need to gain. It’s also motivating; it will fuel the passion you need to remain dedicated during your months of preparation. Visiting the one-of-a-kind farms to see first-hand the beauty and early life cycle of the beans will give coffee a whole new meaning for you. Once you’ve chosen your coffee, countless experimentation begins. First, you must try different roast profiles, then cup espresso on different days, while always taking extensive notes. Perfection lies at the end of a coffee-stained notebook. You might start to get sick of this experimentation, but you cannot give up. 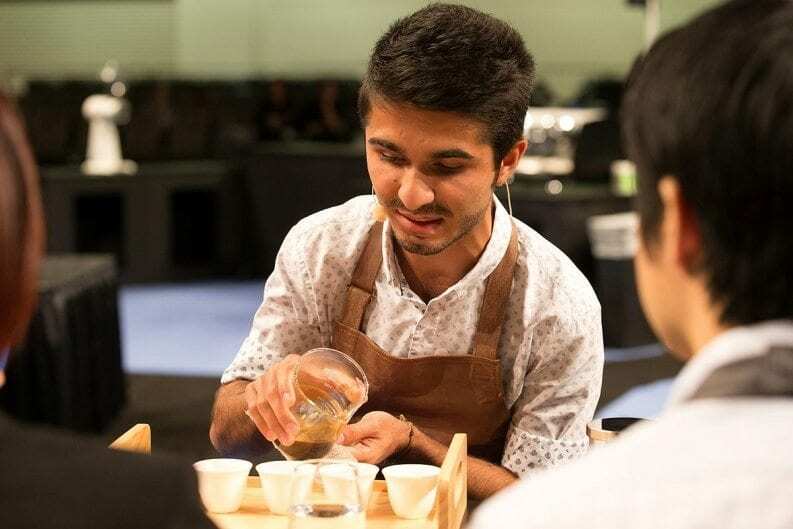 You need to keep experimenting until you have a deeper understanding of your coffee—until you know the balance and synergy of all the elements that make up your coffee’s flavour and how to manipulate them. You need to always be in search of the god shot. You need perfection, and you need to attain it consistently. The moment has arrived. The countless experiments, the travels to origin, and all the hours of perseverance—they all come down to these fifteen minutes. When the judges are watching your performance, it can be nerve-wracking—but you must remain confident. It’s important to be psychologically prepared, because you only have one opportunity. The slightest hesitation or doubt will cost you dearly. My motif was mouth-feel. 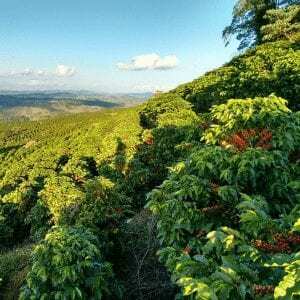 I began by explaining its importance, and how every aspect of the coffee production and extraction—from processing at origin to the moment it’s served—affects it. In each part of my performance, I modified and manipulated it. I cooled the milk to 0 degrees celsius by using dry ice, then used controlled slow steaming to obtain a silkier, shinier, and sweeter foam. I took advantage of a new coffee process used in Costa Rica. 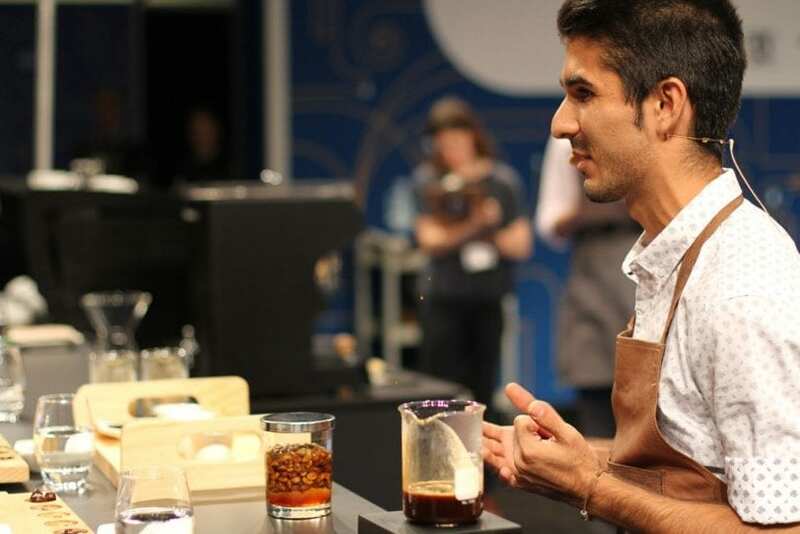 You have to understand that, in Costa Rica, we have a trend of coffee experimentation. 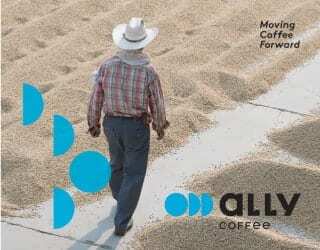 Research is always being undertaken in the attempt to develop new specialty coffee processes. The coffee I used was a caturra-catuaí blend from the West Valley Costa Rica region. 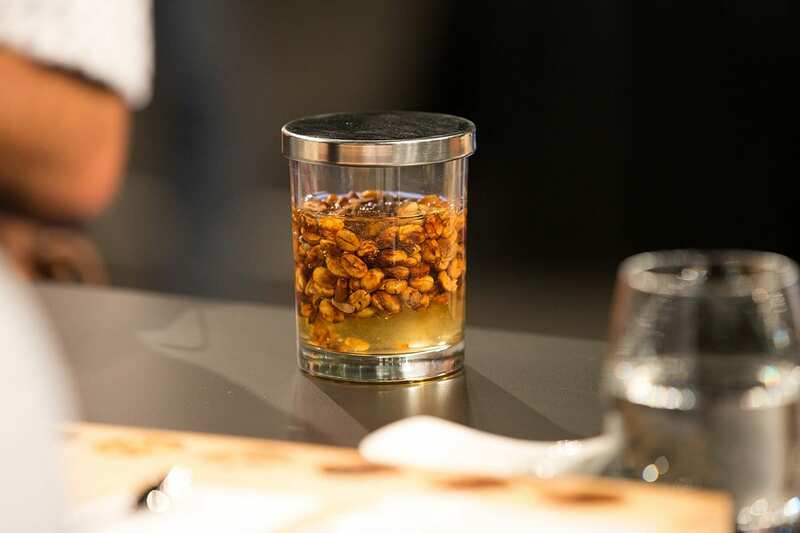 What made it special was that it was milled at the Café de Altura de San Ramón Especial mill, where they have developed a new method of anaerobic fermentation. They added mucilage from Tarrazú, another coffee region in Costa Rica, in the honey-processing stage. Then, they placed the coffee in a hermetic container for eight to twelve hours. During this time, anaerobic fermentation occurred and the coffee absorbed the Tarrazú mucilage. It’s important that this is done anaerobically, because oxygen would speed the process up, meaning the absorption would be less effective. The result? A sweeter drink with a more complex aroma and—important for my performance—mouthfeel. I focussed on using innovative brewing methods to alter the espresso flavour and mouthfeel. I selected ingredients that matched some of the espresso’s flavours and infused them. 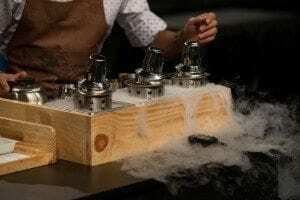 Then, I mixed them with the espresso and homogenised them in an electromagnetic field using an electromagnetic stirrer. The result was a perfect distribution of all the solids, oils, and other suspended particles that compound the espressos chemical structure. To me, innovation is an essential part of being a barista. Giving customers unique experiences and adding to specialty coffee culture is my job. As baristas, we are in a constant pursuit of excellence. Competing at this level is thrilling, rewarding, nerve-wracking—a rollercoaster of emotions. 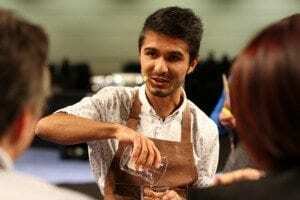 Above all, though, it was so meaningful to represent a coffee producing county as a barista champion. 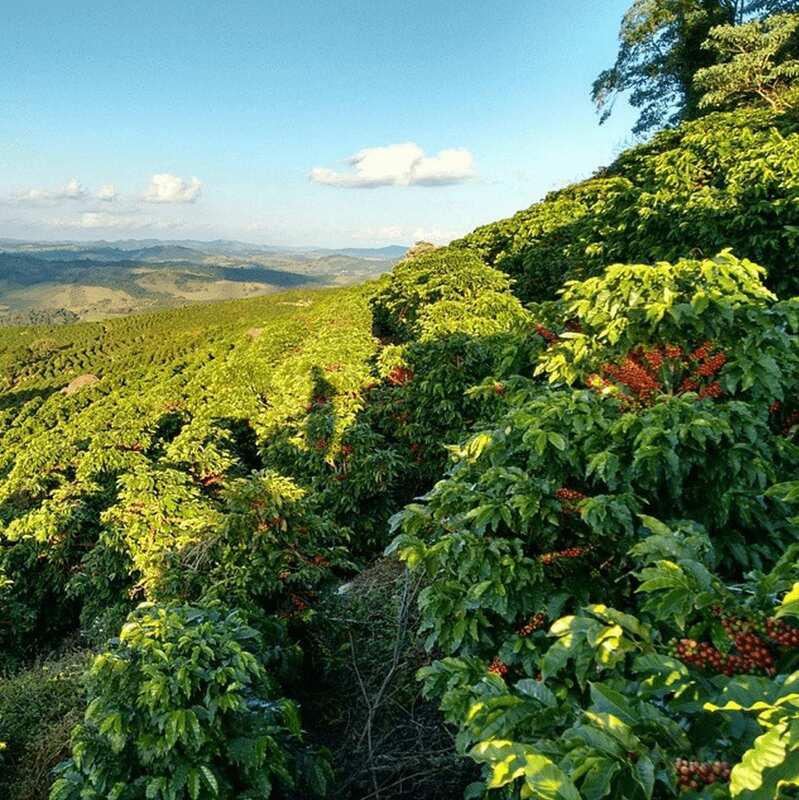 Costa Rica has so much to offer the world of coffee, from its wonderful beans to the unique processes that set it apart. Representing that was a great responsibility, and the sense of pride I felt was my reward for all the hard work. It made me realise that, no matter who won the title, every competitor was a true champion. Written by A. Bravo and edited by T. Newton.